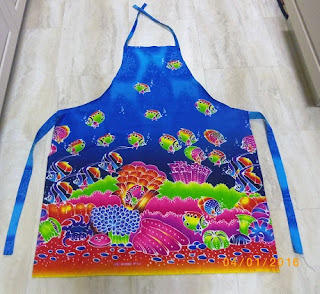 An online friend brought my attention to this apron, and I asked if I could buy it. 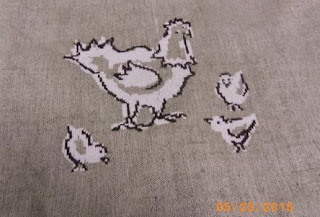 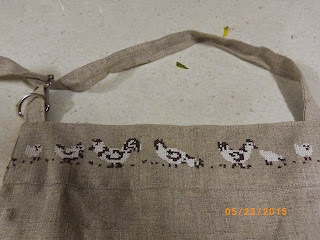 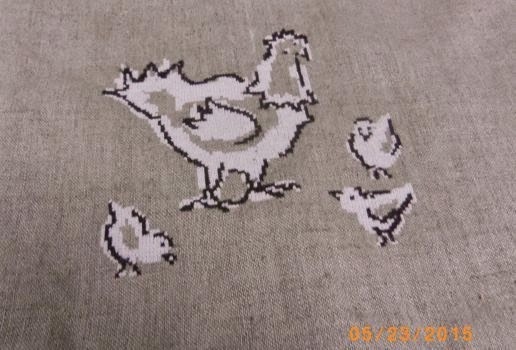 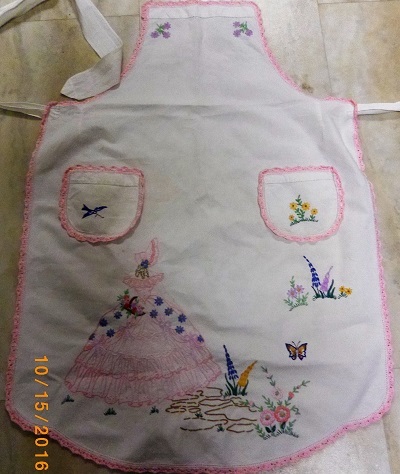 As if I don't have enough chicken scratch aprons in my collection! But this design with the swans is quite unusual, so I was pleased to get it. 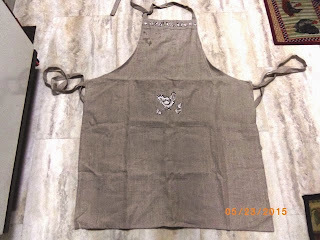 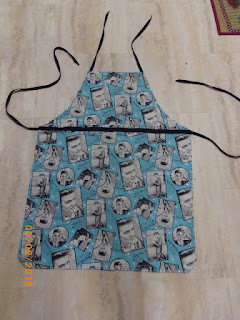 A dear friend gave me this apron last week as a belated birthday gift. She saw it in a gift shop while she was on holiday in a country town and thought it would be a perfect gift for me. 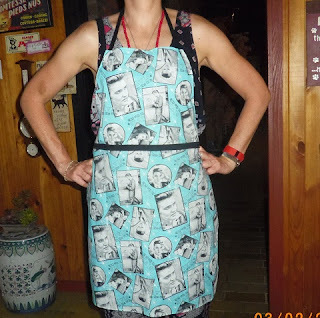 She was right! Wanda M. at the EGV gave this to me in February this year. 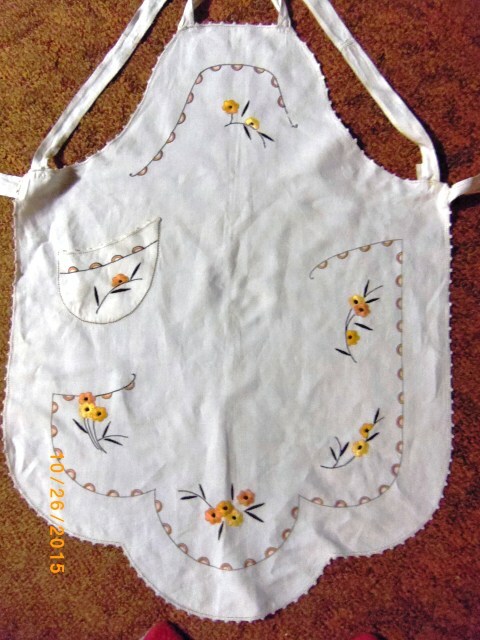 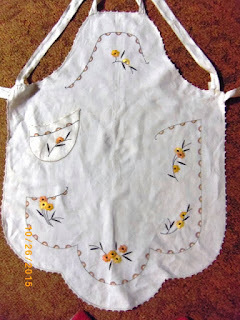 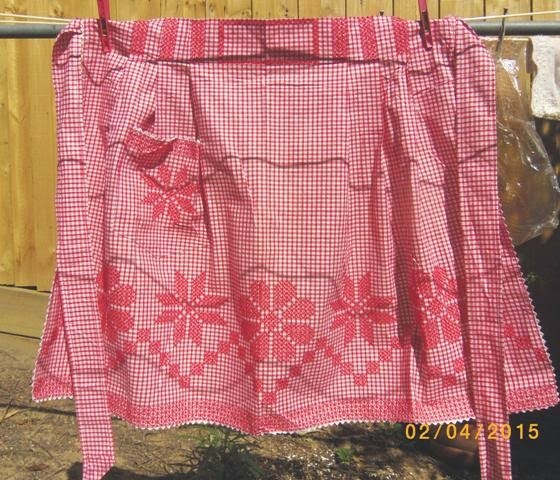 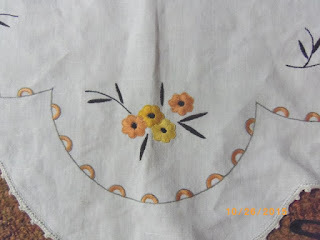 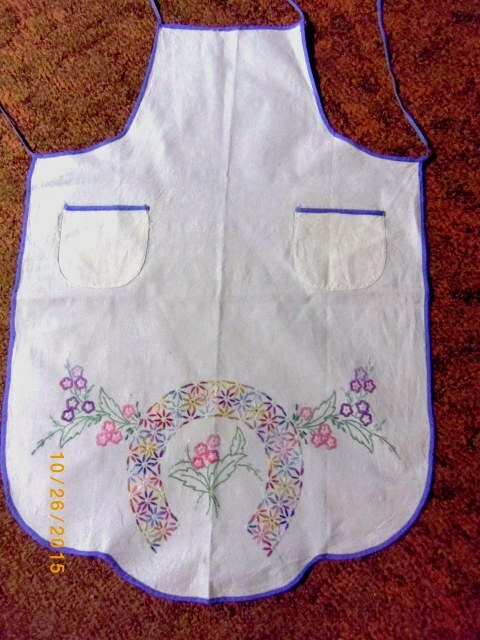 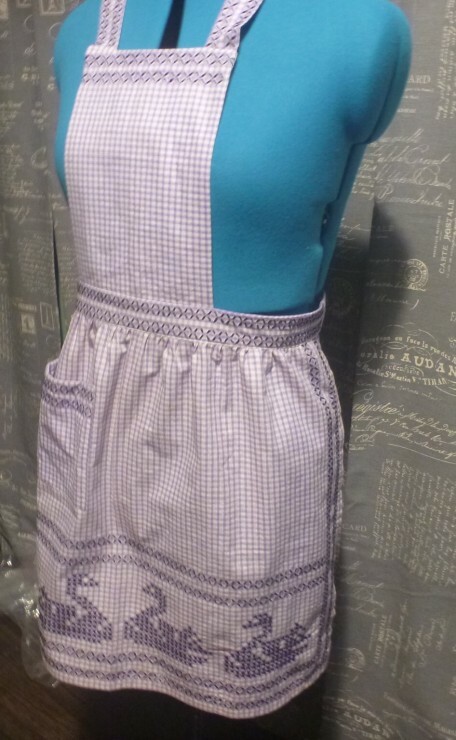 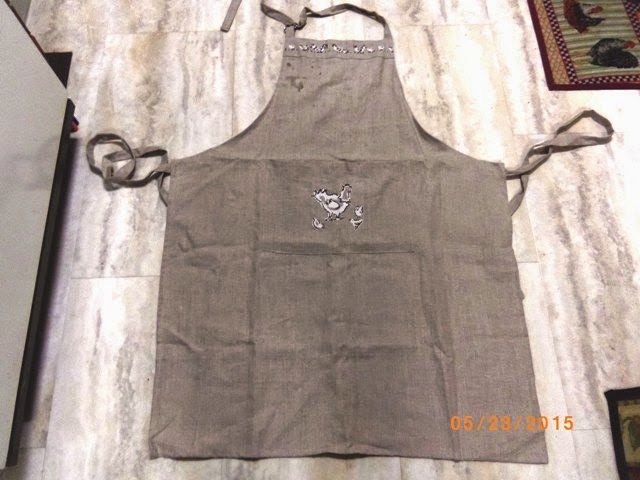 She had been culling her apron collection and had a similar one to this.